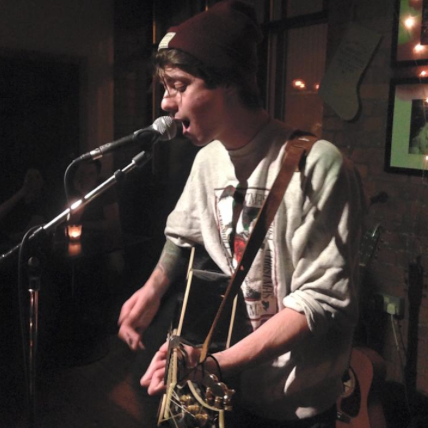 Adam Walsh is the front man of Velocets, a band we covered in 2014. He's also taking to the acoustic circuit around Manchester this month and has put out a couple of teaser tracks already. One of these is Around and we're rather taken by it. Adam is playing the Acoustica evening at Apotheca next Monday, 16th February as well as Art Of Tea in Didsbury on the 19th. Stripping back the loud guitars of his band, his songs are honest, straight-forward and heartfelt and his voice strong enough to stand him out from the plethora of singer-songwriters in Manchester. It'll be interesting to see where he takes this. Adam is on Twitter and there's another song called House on his Soundcloud page. Velocets' official website can be found here. They are also on Facebook, Twitter and Soundcloud.